Taking daily fish oil supplements during pregnancy can slash chances of a premature birth by up to 42 percent, a major review has found. Mothers-to-be have long been warned to limit oily fish and avoid certain fish altogether because of concerns over pollutants and mercury exposure. Now researchers have found those who consume the highest levels of omega-3 fatty acids are significantly less likely to give birth early. The findings are so strong they suggest pregnant women should start taking cod liver oil tablets every day from 12 weeks onwards. A review of 70 studies found increasing a type of fatty acids found in oily fish like salmon and mackerel lowers the risk of having a baby born before 37 weeks by 11 percent. The risk of giving birth before 34 weeks drops by 42 percent and the chances of having a small baby – weighing less than 5lbs 5oz – fall by a tenth (10 percent). Around 60,000 babies are born prematurely in the UK each year, while the figure is around 380,000 in the US. Recent rankings put the UK 134th out of 184 countries in the world, higher than many countries in Europe and higher than Cuba, Ecuador, and Iraq. There are currently few options for preventing premature birth, yet it is the leading cause of death in children under-5 worldwide. Those who survive to face a range of long-term conditions including visual impairment, developmental delay, and learning difficulties. 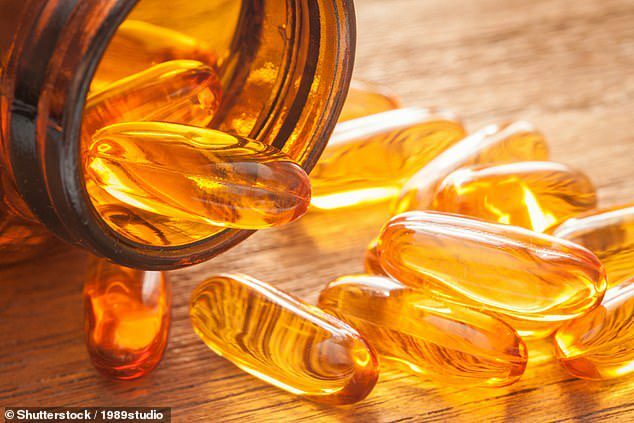 But scientists suggest taking a daily pill – containing between 500 and 1000mg of long-chain omega-3 fats – from 12 weeks onwards could help to cut the risk. Researchers from the University of Adelaide, SA Health and Medical Research Institute (SAHMRI) and Women’s and Children’s Hospital reviewed the results of trials involving 20,000 women. They looked at two types of omega 3 fatty acids – eicosapentaenoic acid (EPA) and docosahexaenoic acid (DHA), which are found in salmon and fish oils including cod liver oil. They found there was now ‘high-quality evidence’ that omega-3 supplements are an effective strategy for reducing preterm birth. Experts believe it may work by reducing the potency of powerful hormones that can initiate premature birth, extending the gestation period. Professor Philippa Middleton, from SAHMRI, said: ‘There are not many options for preventing premature birth, so these new findings are very important for pregnant women, babies and the health professionals who care for them. ‘We don’t yet fully understand the causes of premature labor, so predicting and preventing early birth has always been a challenge. ‘This is one of the reasons omega-3 supplementation in pregnancy is of such great interest to researchers around the world.’ Omega 3 pills, capsules, and oils are one of the most popular types of supplement, with more than a quarter of people who take any kind of supplement choosing omega 3. Experts say there is no risk with taking the supplements or exceeding the dose as it simply passes through the body. Professor Middleton said it was important to check the dosage of supplements to ensure they contained at least 500mg of DHA. ‘It’s worth noting though that many supplements currently on the market don’t contain the optimal dose or type of omega-3 for preventing premature birth.